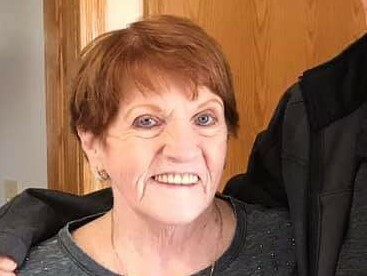 Funeral services will be 12 noon Thursday, officiated by Pastor Russ Adams at the Fox Funeral Home, Boardman, for Sandy L. Benson, 74 of North Lima, who passed away peacefully Thursday morning with her loving family by her side. Sandy was born November 6, 1944 in Youngstown, a daughter of Zebulan and Letha Burrell Josey. She had worked at Phar-Mor, Marc’s, Big Lots, and later in life worked as a private home caregiver. Sandy was a member of Saxon Ladies, Youngstown Hog Chapter and the Fraternal Order of Eagles. She loved going to casinos and spending time with her family. Sandy leaves to cherish her memory, her husband Raymond E. Benson, whom she married April 20, 1990, children Jeanette M. (Michael) Schneider of North Lima, Michael Sean (Jamie) Fitz-Patrick of Boardman and Kathleen A. (Diony) Aponte of Bettendorf, Iowa, sisters Mary Daniels of Struthers and Shirley Rispinto of Campbell, eleven grandchildren, three great grandchildren and her beloved dog Gretchen. Besides her parents, Sandy is preceded in death by sisters Ruby Brocious, Judy Isaacson, Betty DeVan, Dorothy Melia and Gladys Bonish, brothers Jake Josey and Henry Josey and a granddaughter Erica Socha. Interment will take place at Lake Park Cemetery. Family and friends may visit www.foxfuneralhome.org to view this obituary and send condolences.